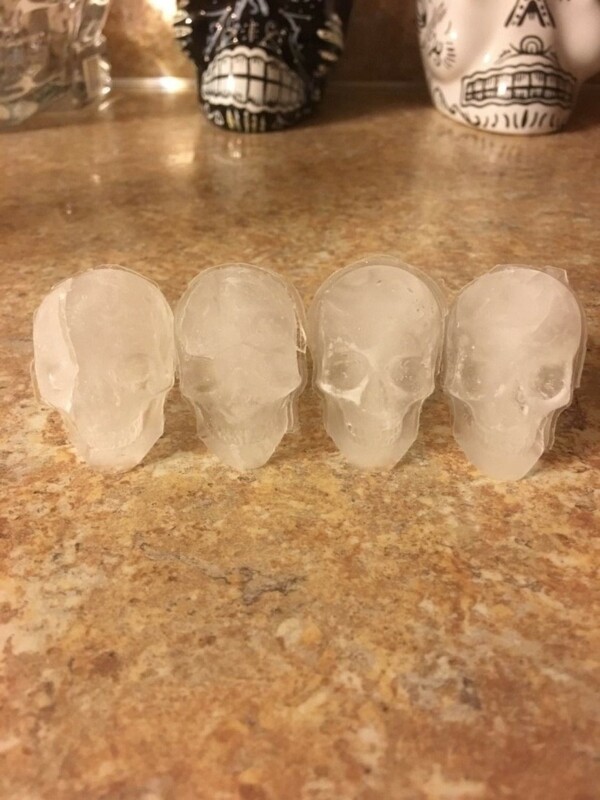 Silicone 3D Skull Ice Mold makes four 1.57" (4cm) skull shaped ice cubes! Add a touch of horror to your drinks, Halloween and any theme parties! Great for making chocolates, gelatins, soaps, candles and more! Made from 100% BPA free, non-toxic, food grade silicone. Soft and flexible silicone makes it easy to pop cubes out! Safe for dishwasher, freezer, oven and microwave. Chill your beverages to the bone and terrify your guests! 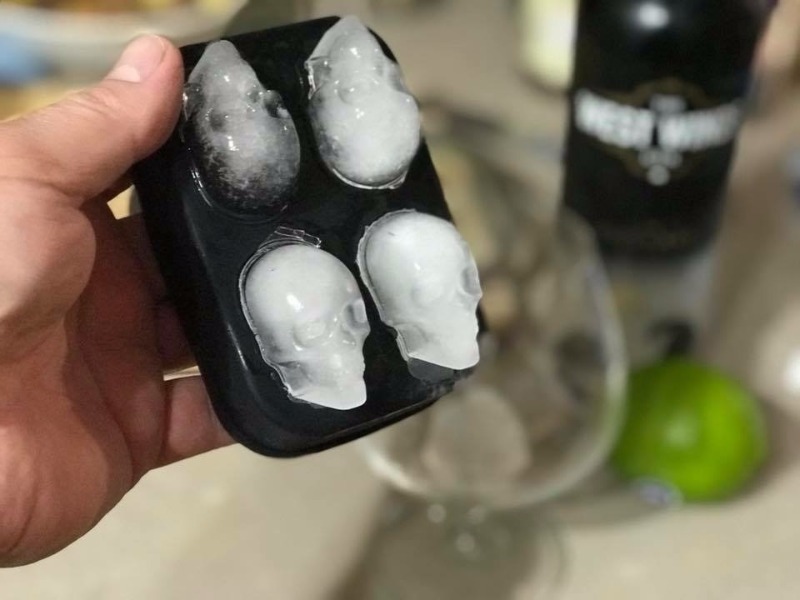 Perfect for Halloween, each 3D Skull Ice Mold creates 4 large 1.57" (4cm) ice cubes, candies, bath bombs, candles and more! 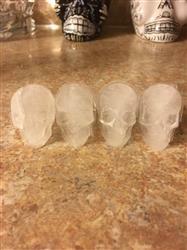 These skull ice molds are sweet! I ordered more to have some for when I have family or guests over so they can enjoy the fun as well. 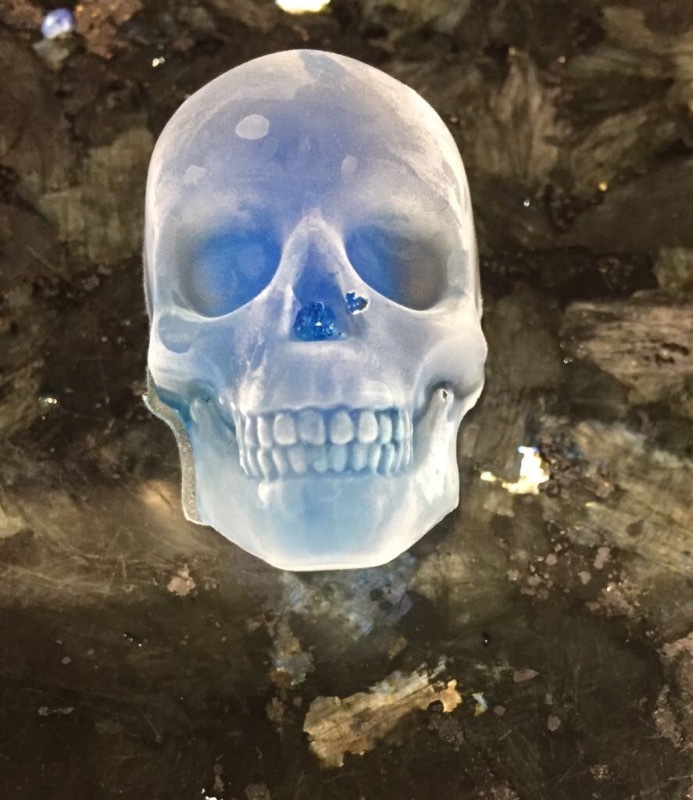 I’ve had other skull molds and this type is better than the rest and are a full skull each when the mold is peeled apart (not a half skull cube). I’m very happy with this purchase. Thank you for making the best skull cube mold available! It has come in time. Creative gift ideas! Can’t wait to send as gifts over coming months. Website was easy to navigate. It's a challenge for me every birthday and Christmas to find a gift for my brother that is skull themed as he's been obsessed with skulls for a while, so when I saw these I had to buy and yes he was chuffed to bits with them for Christmas especially as he'd already bought himself the set but found four skull ice cubes just not enough, so now he has eight lol! Very happy brother Christmas day and very happy sister at having found him something he was happy with. Thank you, I will be back.